Where it is…. it isn’t! Sligo Kinesiology > Blog > Kinesiology > Where it is…. it isn’t! “ Where it is… it isn’t” This was one of the first phrases I learned at a Systematic Kinesiology introductory talk nearly two years ago. I didn’t fully understand it at the time but I do now. Having practiced and worked with many different people I have found that the source of a problem is not always where we expect. Clients might complain of backache, neck pain, knee pain etc. but rather than chasing the pain I will check fifteen or more different muscles in the body from head to toe. I will note any imbalance or weakness and then fix what I find. In Systematic Kinesiology we treat the person not the problem. A pain in one part of the body can be the downstream result of tension or energy blockage in another part. One example is the Piriformis muscle which is situated in the hip area close to the sciatic nerve. Problems with this muscle can sometimes cause lower-back and hip pain. When testing the Piriformis we check if weakness might be related to the temporomandibular joint (TMJ) of the jaw. The pain could be coming from here as people hold a lot of tension in their jaw muscles particularly when under stress. This tension will unbalance some jaw muscles which has a knock-on effect all the way down the body. 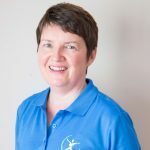 Using kinesiology techniques we are able to release tension in TMJ muscles which can often help ease hip pain and sciatica. In Systematic Kinesiology we always look for the root cause of our client’s pain or discomfort. Then whatever treatment we give will be more complete and last longer than just fixing the symptoms.